IN TODAY’S PUBLIC—school classrooms, boys and girls learn together with others of their age and ability. They are given pictures and hands-on materials to connect abstract concepts with the observable world around them. Their teachers address them as whole people—not just brains for the memorization and regurgitation of facts. 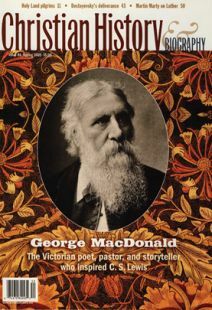 More resources for study of George MacDonald.